Advantages: Clear and interesting selection of colour and black and white photographs, plenty of variety; nice artwork. 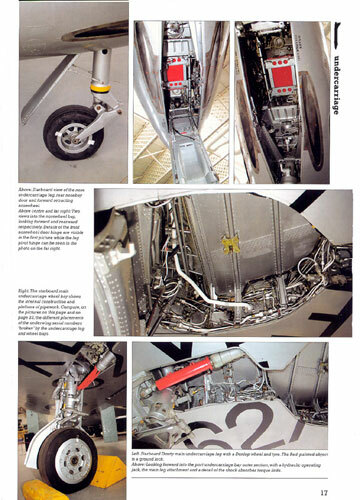 Mark I Guide is another newcomer to the world of "walk around" aircraft guides. 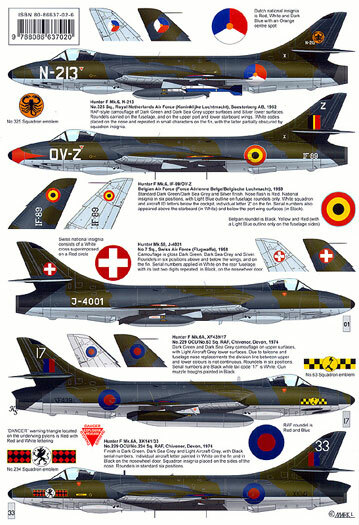 Mark I Guide hails from the Czech Republic, and the Hawker Hunter F Mk.6/A is their first publication. Though the book originates from the Czech Republic, it is solely in the English language. 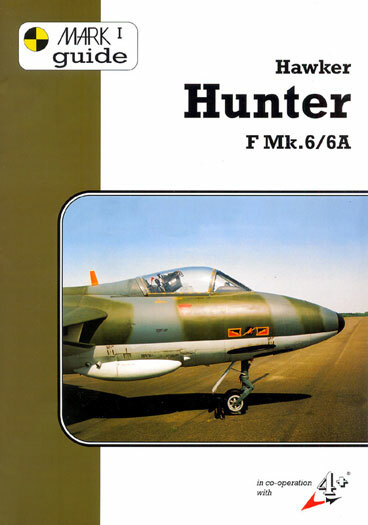 It commences with a three-page summation of the Hunter and then concentrates on the development and history of the F Mk.6 exclusively, including its production and export history. 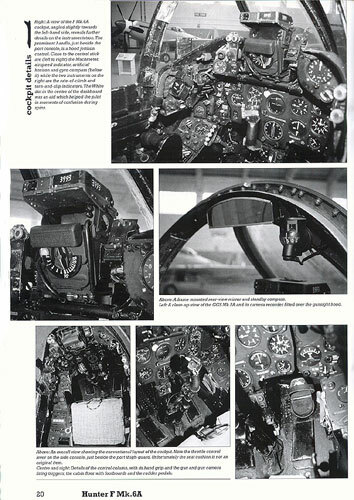 What follows are 12 pages of photographs, both close-ups and of the overall airframe. As expected of a walk-around, the pics are sharp and clear and cover the entire airframe. They are a mixture of both colour (25) and black and white (97). There are also eight line drawings sprinkled throughout the pages. I would have liked to see more colour but I guess that it all comes down to price! The camouflage schemes borne by the Hunter also receives coverage with descriptions provided for the machines operated by the Royal Air Force, Dutch Belgian, Iraqi, Jordanian, Lebanese, Omani, Indian, Swiss, and Saudi forces. The description is backed up by colour profiles of fourteen different machines. The final chapter gives a brief description of armament and equipment carried by the Hunter. The book is 11¾ x 8¼ in size and comprises 22 pages of good quality glossy paper between cardboard covers. A nice first effort by Mark I Guides. It gives you info on the development and operational use of the F Mk.6 Hunter as well as sharp and clear photographs to help you create your next masterpiece.